Fosun Group’s AWOL boss leaves the Chinese group badly exposed. 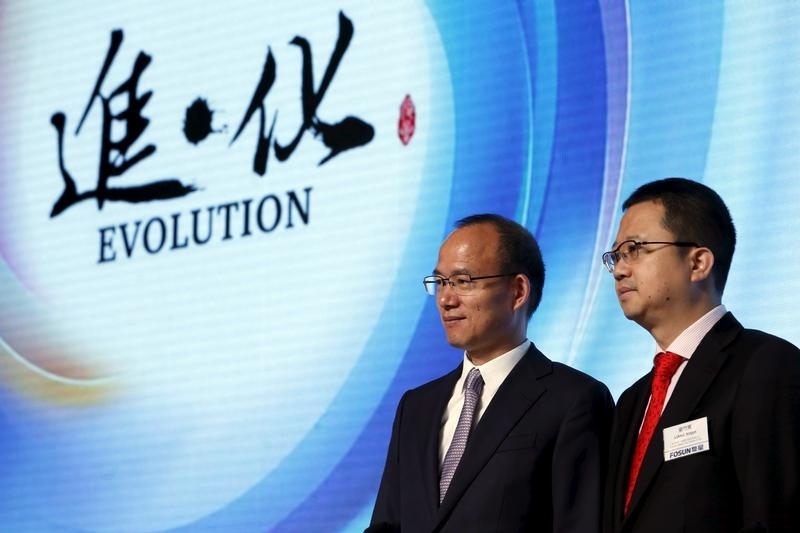 On Dec. 11 China’s top private conglomerate halted trading in its various listed entities, after Caixin magazine reported Fosun could not locate Chairman Guo Guangchang. That’s worrying amid a graft crackdown. Guo’s team can keep things ticking over, but unless he re-emerges soon Fosun’s strategy and bold overseas dealmaking are both in doubt. Investors have often stuck by state-owned enterprises even as top execs have been hauled in by corruption investigators. They see SOEs as vast bureaucracies that grind onward whoever is in charge. But private sector giants like Fosun, whose Hong Kong unit Fosun International is worth nearly $15 billion, are different. They often revolve around one charismatic founder. Hence bonds in various Fosun-linked companies fell sharply on the news. Under Guo, Fosun has been a dealmaking juggernaut, announcing acquisitions totalling about $7.3 billion this year, ranging from Portuguese insurers to Australian miners. In his absence, it is very hard to see the spree continue. Takeovers that are still half-done could fall over. And banks may become warier about financing new deals, or refinancing existing assets. The many minority stakes Fosun takes in private-equity style deals are less likely to be affected. Three caveats. First, two of Guo’s co-founders, Wang Qunbin and Liang Xinjun, still hold senior roles at Fosun. That should provide some stability in decision-making, and allow day-to-day business to continue. Second, tycoons’ grip on power can be surprisingly resilient: look at GOME’s jailed founder Huang Guangyu. Third, this could all prove to be a terrible mix-up. Perhaps Guo will reappear in a week’s time saying he has been on a meditation retreat and is now back for business as usual – as Man Group’s China head did in September. For now, though, this is a stark reminder of the risks of investing alongside China’s entrepreneurs. Shares in Hong Kong-listed Fosun International were suspended on Dec. 11 after a Chinese financial magazine reported the company’s majority owner, Fosun Group, had been unable to contact its billionaire chairman and founder. The Caixin report said Fosun Group had been unable to reach Guo Guangchang since noon on Dec. 10. In a statement, Fosun said it had requested the halting of its shares pending the release of an announcement containing insider information. Fosun’s overseas depository receipts in New York fell 6.6 percent in large volumes, according to Thomson Reuters data.